Static strength analysis and test verification of 100% low floor tram car body SHAN Qi-yu;HE Pan;XIE Yao-zheng;YIN Ying-shi;CRSC Railway Vehicles Co. Application of LTO battery on battery-electric locomotive LONG Yuan;CRRC Zhuzhou Locomotive Co. Analysis and improvement on abnormal wear of type HX_D1 locomotive coupler yoke XIE Xing;YANG Xiang-jian;MAO Cong-qiang;CRRC Zhuzhou Locomotive Co.
General design of assembly and welding fixtures for bogie frame CHEN Zhi-you;QU Yuan;CRRC Zhuzhou Locomotive Co. 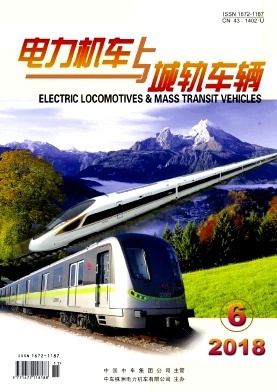 Structure improvement and finite element analysis for A-type aluminum metro vehicle cab LI Li;WANG Guo-jun;LIU Yong-qiang;LIN Ying;CRRC Zhuzhou Locomotive Co. Calculation of total ventilation rate and cooling capacity for air conditioning system of passenger room in Calcutta metro vehicle XU Ming-luo;LEI Zhang-wen;ZHOU Zhao-lai;Zhuzhou CRRC Times Electric Co. Type HX_D3G eight-axis AC drive passenger electric locomotive WANG Wei;SUI Xi-zheng;ZHANG Yan-min;CRRC Dalian Co.
Simulation research on crashworthiness of power centralized EMU WEI Hong;LI Xiang-tao;ZHANG Yang;CRRC Zhuzhou Locomotive Co.
Study on keeping brake performance of type CRH6A intercity EMU ZENG Hua-nan;MAO Kai-min;YIN Zhi-chun;CRRC Guangdong Co. Brake system of suspended sky train WU Ming-zhao;ZHU Peng-cheng;ZHUANG Guo-ming;ZHANG Lu;CRRC Nanjing Puzhen Haitai Brake Equipments Co. Improved design of bogie antenna beam for metro vehicle WANG Xu-ying;JIANG Chao-yong;SONG Qing-wei;CNR Changchun Railway Vehicles Co.
EMD based on sequence mean characteristic and its application in gear fault diagnosis ZHANG Kai-hui;China Railway Lanzhou Bureau Group Co.